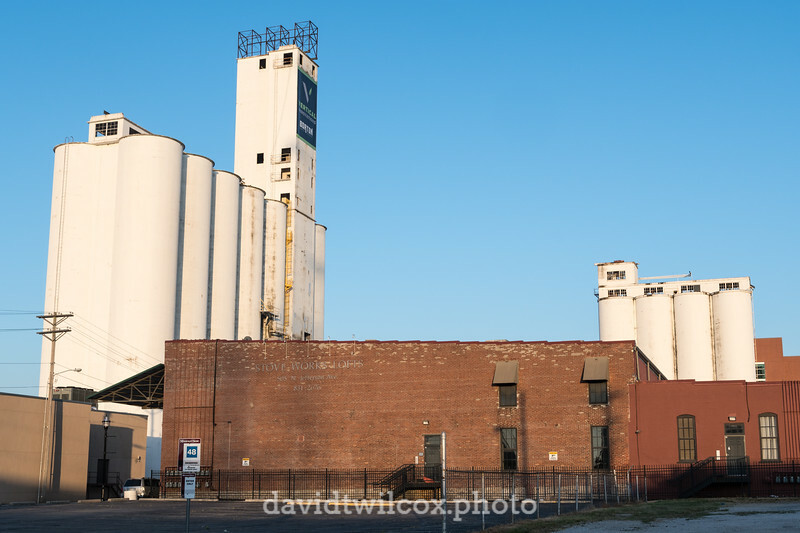 A lonely truck sits a near empty parking lot in downtown Springfield on an early weekday morning. 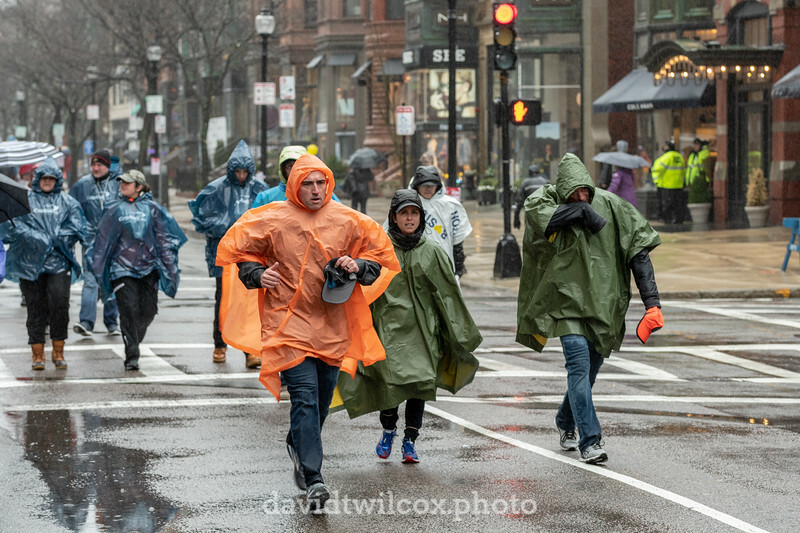 Most of the elements of the 2018 Boston Marathon can be found in this one scene. 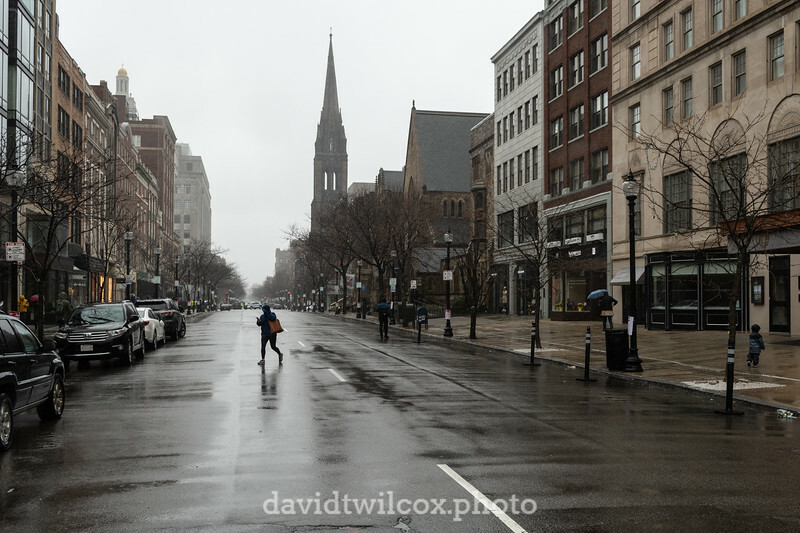 Cold, wet conditions that didn't deter a great turnout by spectators and runners alike; classic downtown Boston scenery; and a heavy security presence that left most streets empty of all but foot traffic. The volunteer support at the race was impressive. 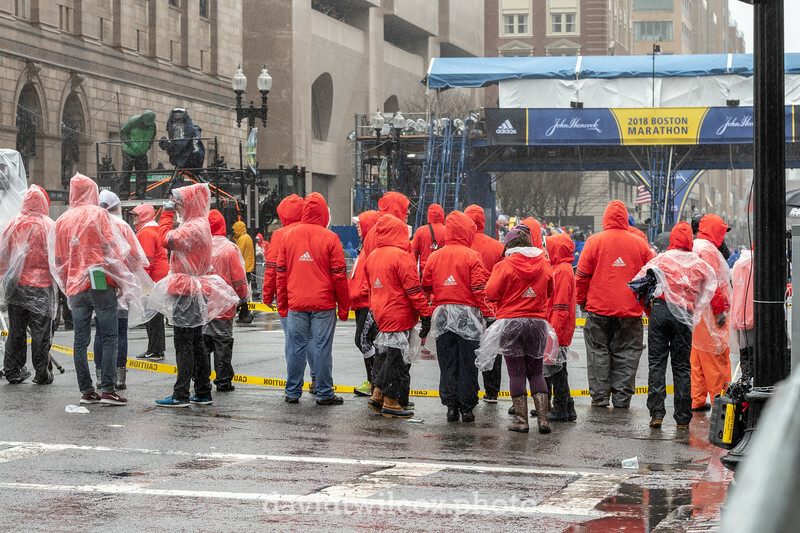 This group of volunteers were keeping an eye out for runners that looked like they might need support or medical assistance, and then getting them to the appropriate teams. Others were giving directions to spectators, or handing out medals, water bottles, and heat wraps. Spectators got to participate in the run, whether they planned on it or not. 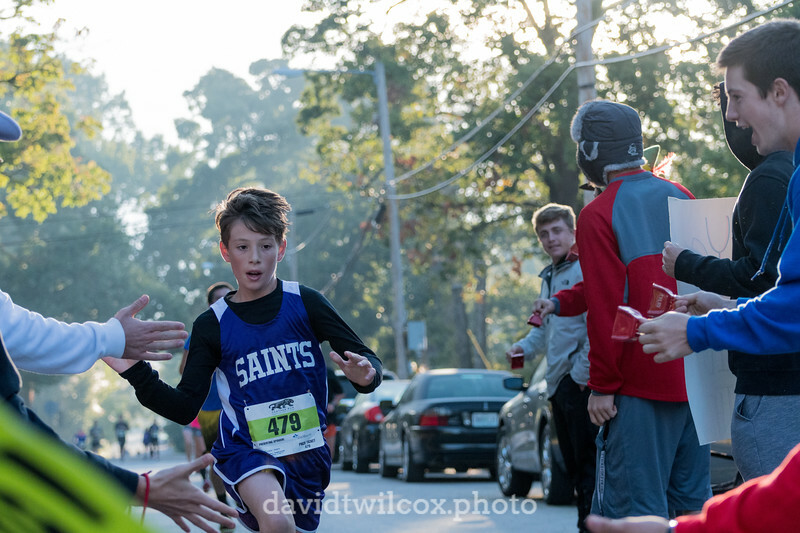 After watching their runner finish, the route for spectators to get from the finish line to the family meeting area was even longer than that for runners and required going through multiple security checkpoints. Seeing spectators running down the car-free streets was not uncommon as the race progressed. 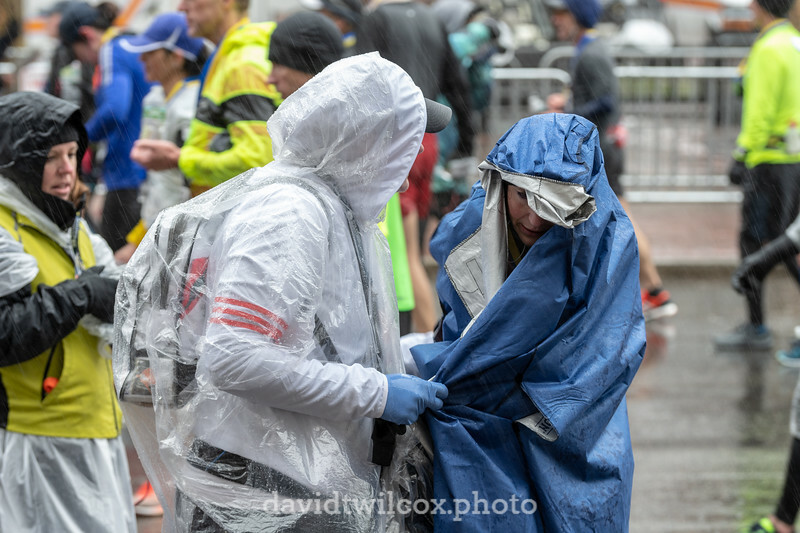 Medical staff quickly move to wrap a cold and wet runner and get her to the aid tent. While not uncommon to see runners needing medical assistance after marathons, the conditions definitely led to a much higher than normal number of ailing runners. 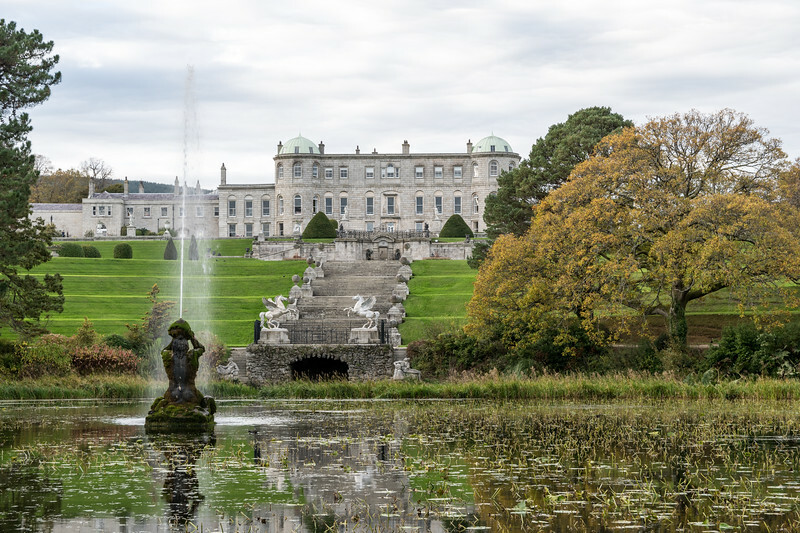 The manor at Powerscourt seems built for a post card, with its picture-perfect fountains and terraces, and carefully maintained topiaries. 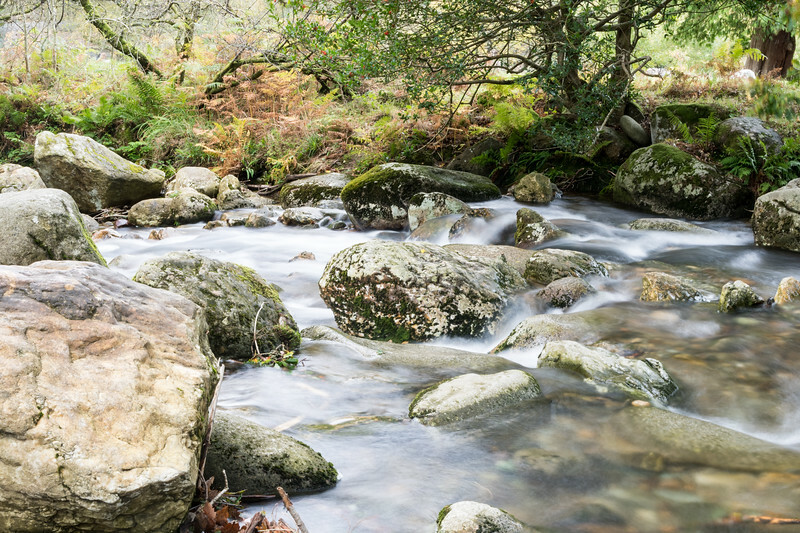 One of the many streams that feed into the two lakes above the Glendalough monastic site. 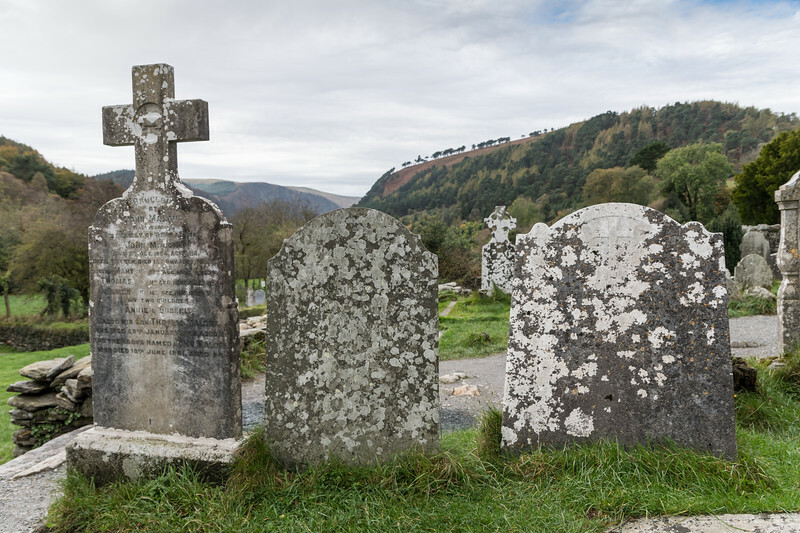 Grave markers in one of the cemeteries at the Glendalough monastic site. Many of the graves are nearly 1000 years old. 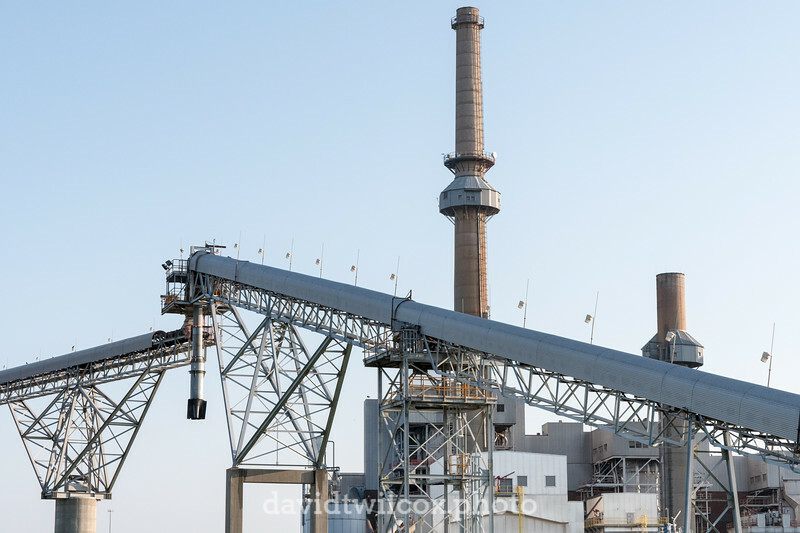 The coal conveyor and a pair of the chimneys at the south-side Springfield power plant. 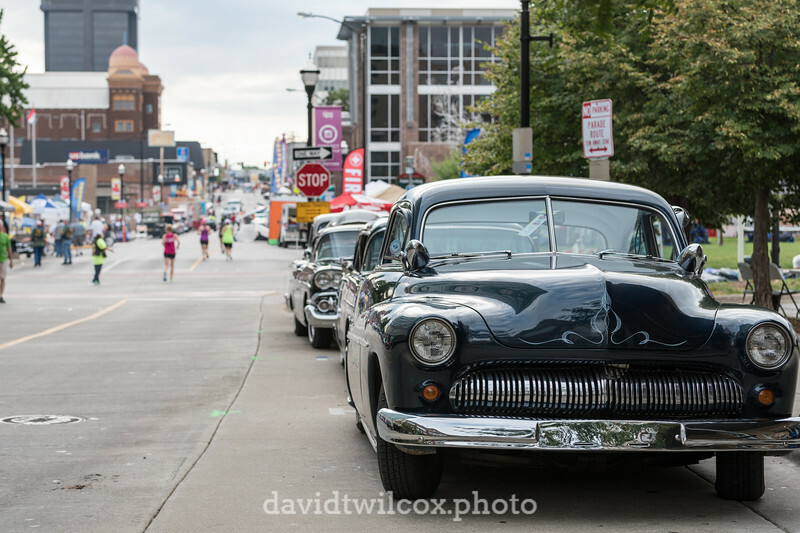 Runners in the Route 66 3.3 and 6.6K race stream past the line up of classic cars showing off in the Birthplace of Route 66 car show in downtown Springfield, Missouri. 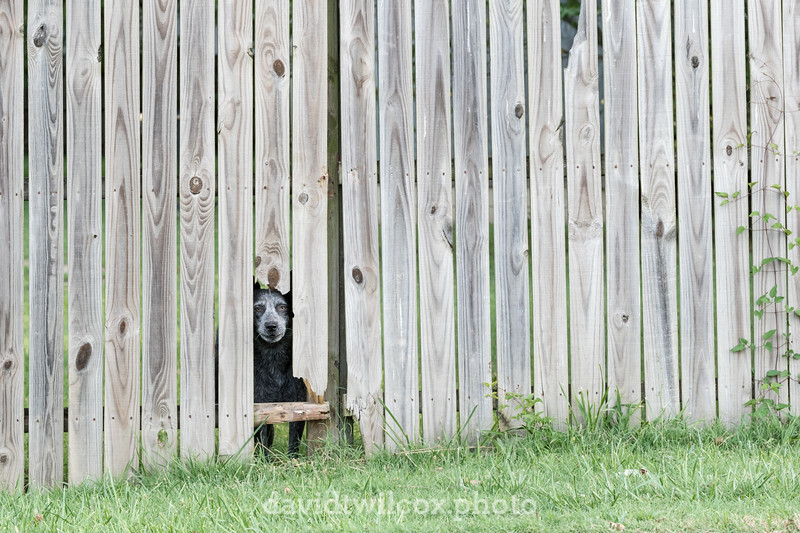 I felt eyes on me as I photographed runners in Ava, Missouri, and turned to see this dog staring me down through his window on the world. 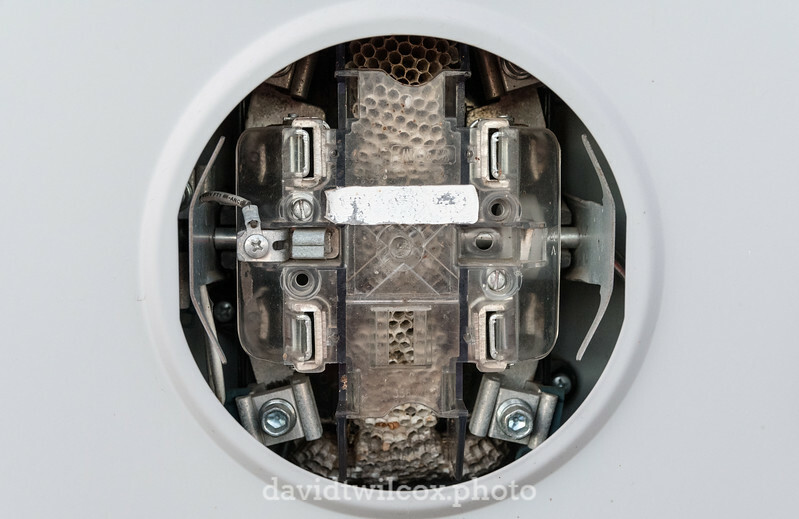 A hive of wasps have made their home in a utility box at a construction site on the northeastern edge of Broomfield, Colorado. Nearly 4000 runners begin the 2016 Bass Pro Conservation Marathon and Cohick Half Marathon. 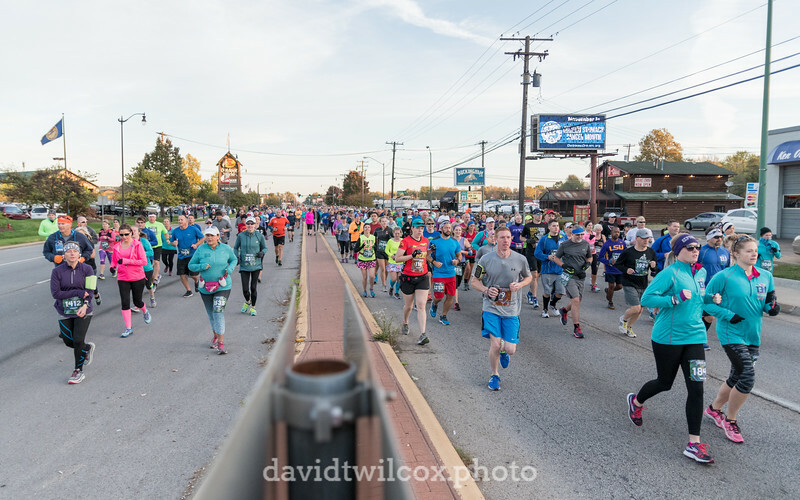 The race starts at the flagship Bass Pro Shops in south central Springfield, Missouri, and winds its way through most of the city before finishing around the corner from the starting line. A young runner enters the Drury University men's baseball team scream tunnel during the Panther Run 5K and 15K. Not all runners were as enthusiastic about the cheering section as the baseball players were in putting it on, but it was certainly entertaining to see. 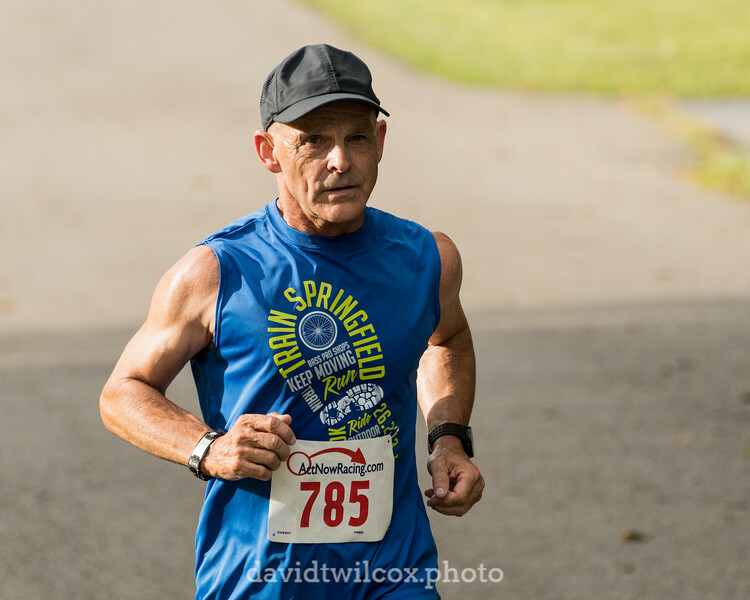 Tim Robie catches the morning sun as he keeps a steady pace uphill during the Azalea Run half marathon. 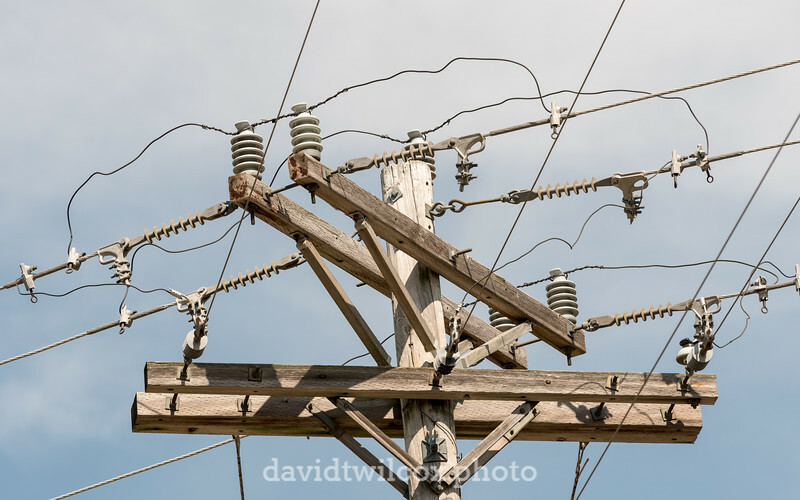 A utility pole and the connections to it from a perpendicular set of lines coming from across a pasture. 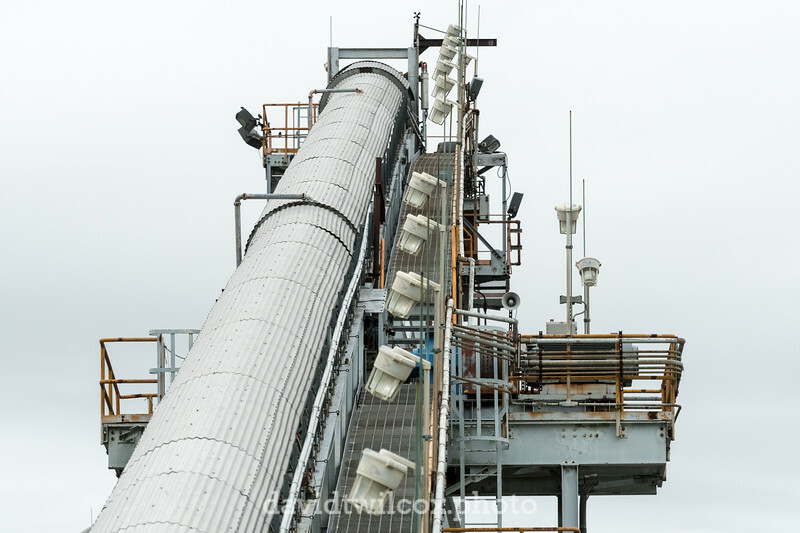 A covered conveyor belt and well-lit catwalk that are part of the south side Springfield electric power plant. 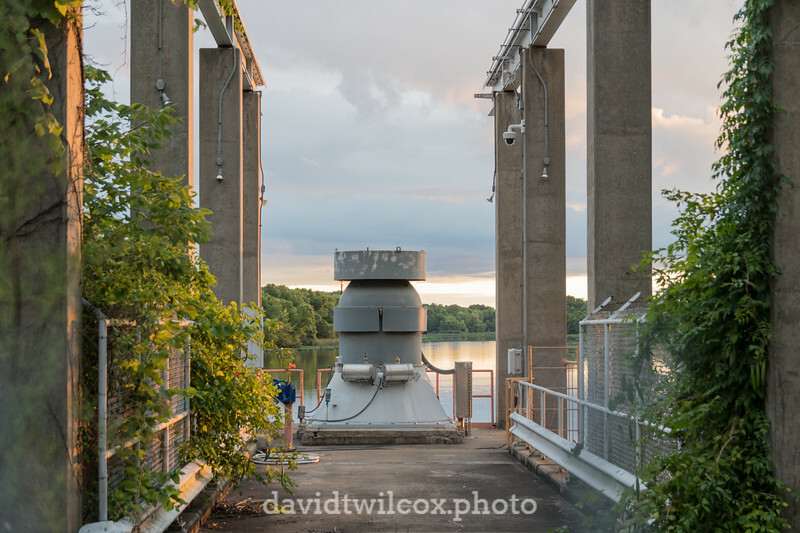 Industrial equipment sits across from the south side electrical power plant next to Lake Springfield. 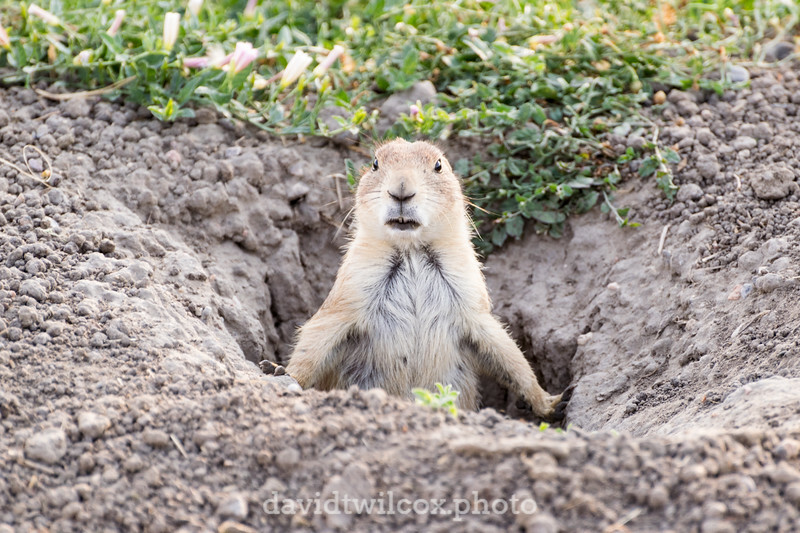 An urban prairie dog guards the entrance to its home in the middle of Westminster City Park in Westminster, Colorado. 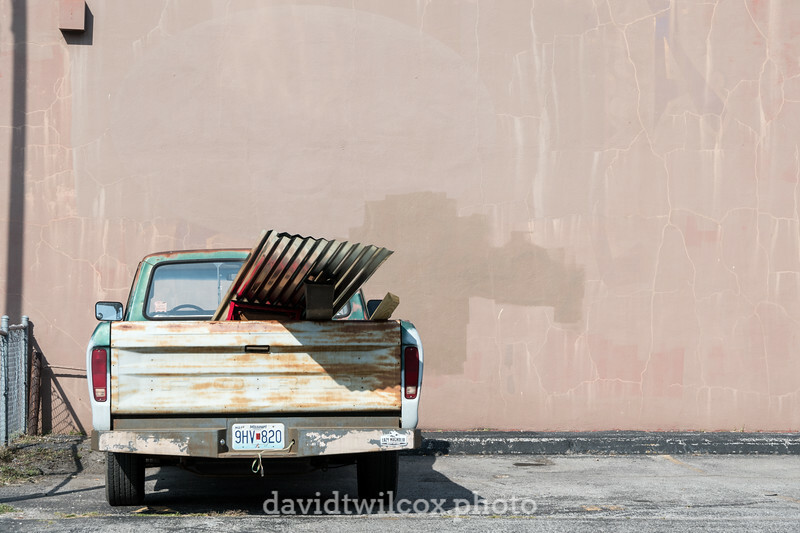 Despite the constant human presence, the prairie dogs had made themselves a home in the suburbs. 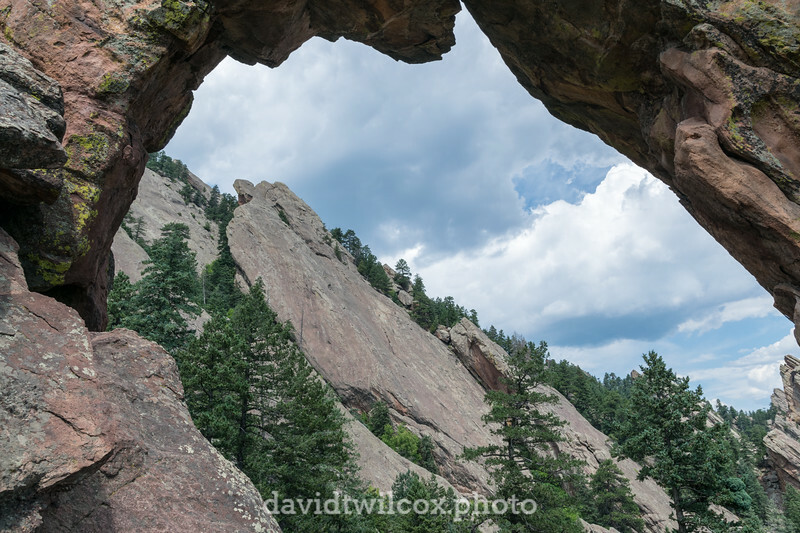 A view of the Flatirons as seen through the Royal Arch high above Boulder, Colorado. While the hike up to the Royal Arch is only a mile long, the ascent is over 1000 feet and requires scrambling over several rock fields. The view from the top is worth the effort. 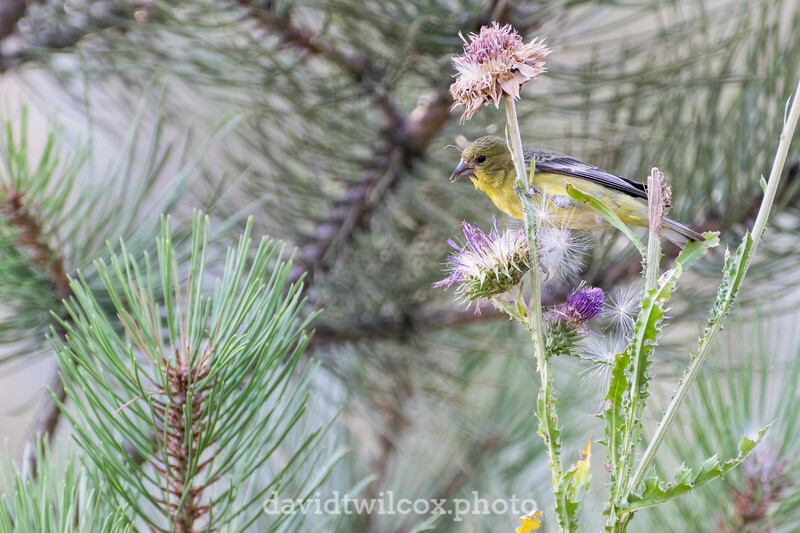 A Western Kingbird perches on a flower stalk in Chautauqua Park in Boulder, Colorado. 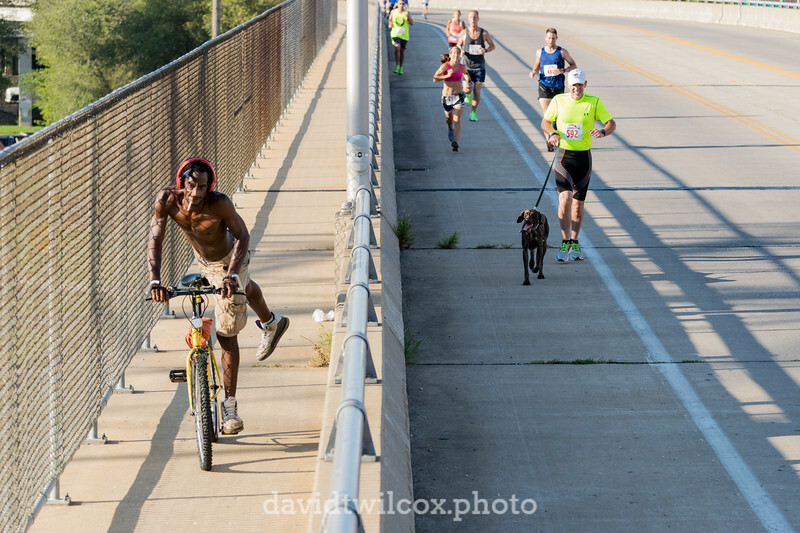 An unknown cyclist pedals along the pedestrian walkway of the Benton Avenue bridge as runners make their way to the finish line of the Bentley Run 5K on a hot Springfield summer day. 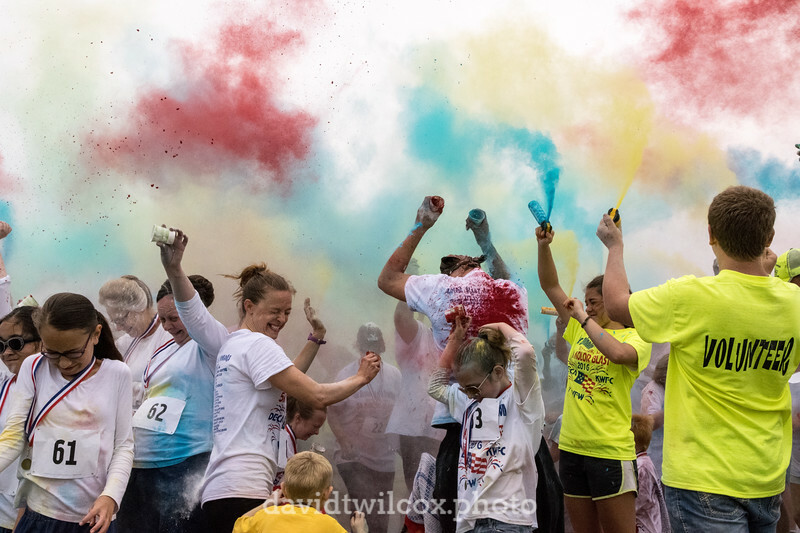 The grand finale of the Seymour Kolor Blast 5K was the color blast namesake itself, with all the runners and spectators gathered together in a crowd tossing cups of paint powder and firing spray cans of paint powder into the air and onto each other. While walking on 28th Street in Boulder, this squirrel followed me, hopping from log to log on the side of the building. I'm fairly certain he was defending his territory from my two legged invasion. 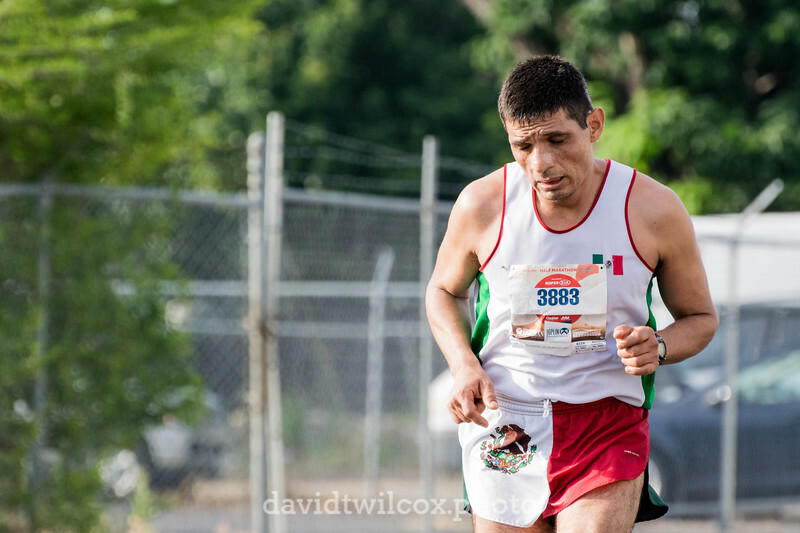 A runner pushes hard to the finish line with less than a quarter mile to go in a hot, humid Joplin Memorial Run half marathon. 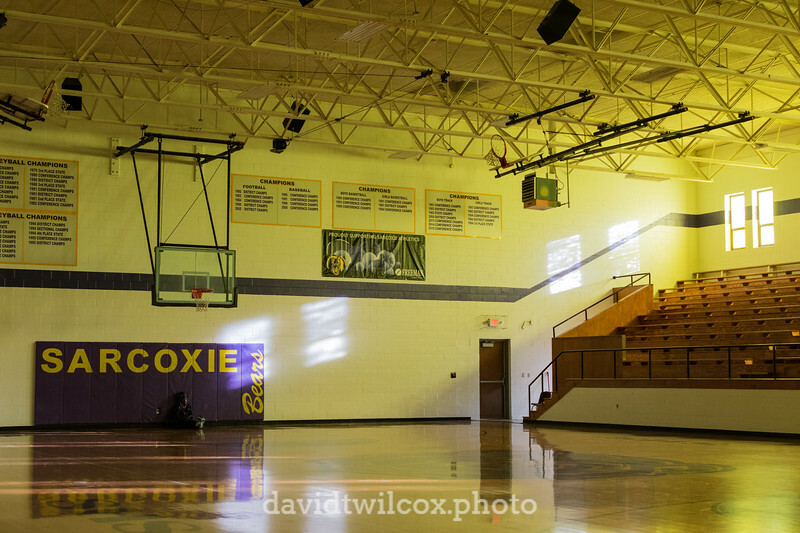 With only the sunrise for light, a lone runner waits in the Sarcoxie High School gym. 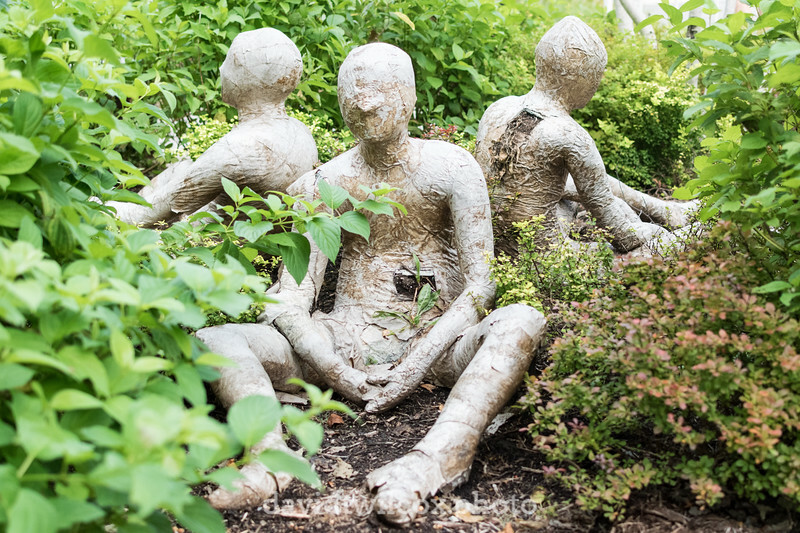 The papier mache figures are made from biodegradable paper and filled with soil and seeds. As they decompose, they slowly slump back into the garden, planting new growth and enriching the soil in the process. 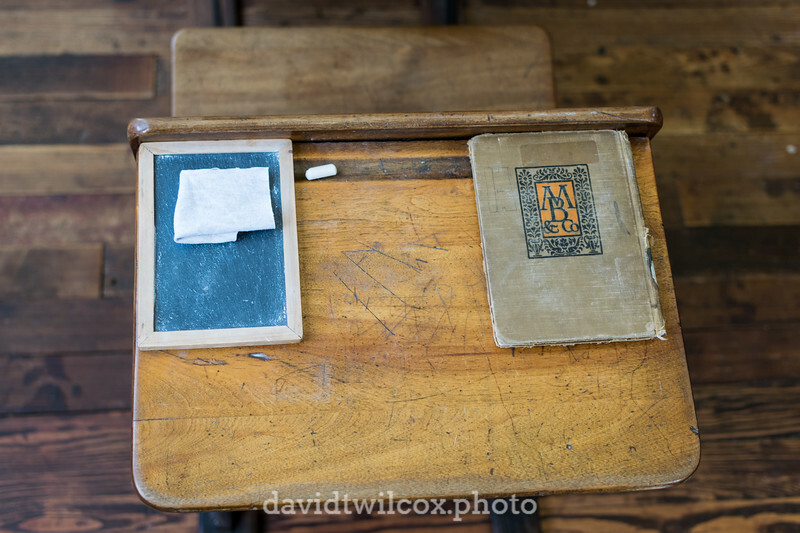 A model desk in a turn of the century recreation classroom in the schoolhouse at Nathanael Greene Park in Springfield, Missouri. 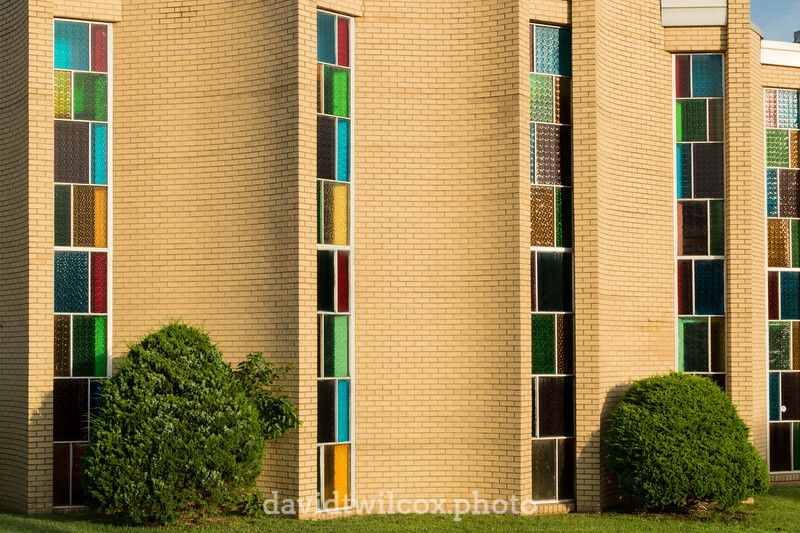 Early morning light catches the bright colors of the stained glass windows of Temple Baptist Church in west central Springfield, Missouri. 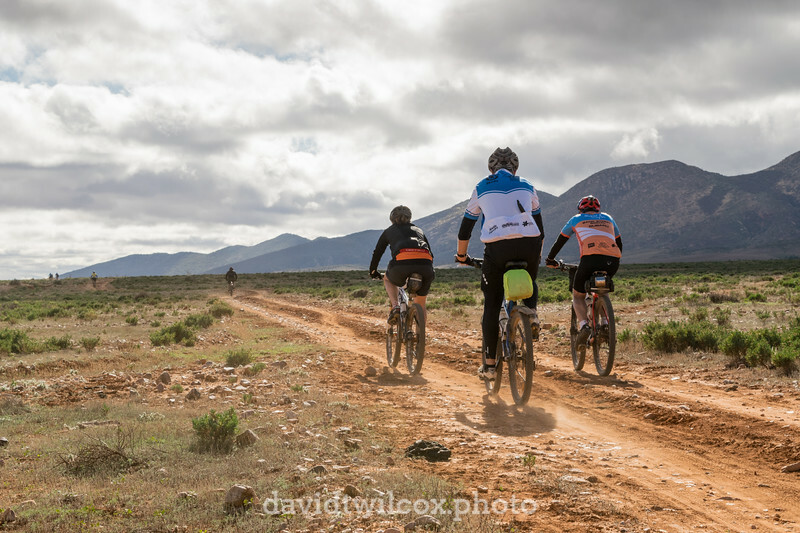 Riding through open cattle grazing land was interesting. Most of the cattle gave us a wide berth, although some got curious if we slowed down or stopped. I doubt they saw anything as interesting as us all that often. 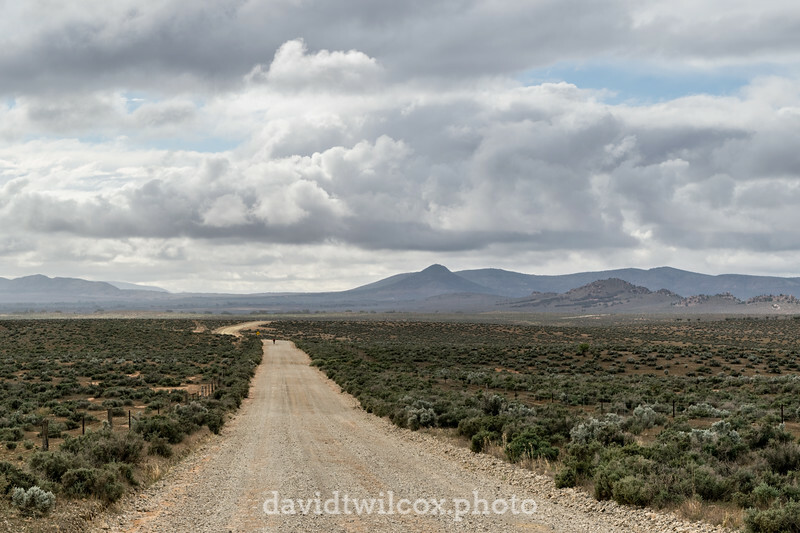 The most surreal experience I've had - riding across a vast, empty plain, with an 80 kilometer per hour headwind, and the sound of opera coming from somewhere in the distance. 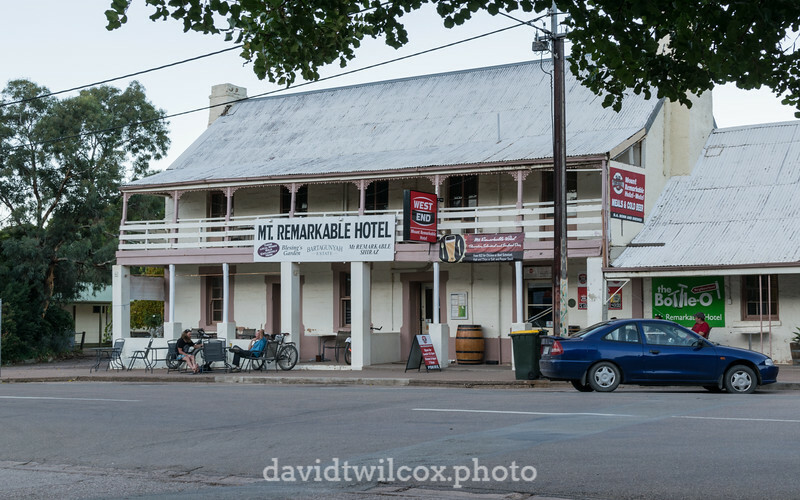 Melrose, the capital of all things mountain biking in South Australia. Also home of several places to get great food and alcohol. 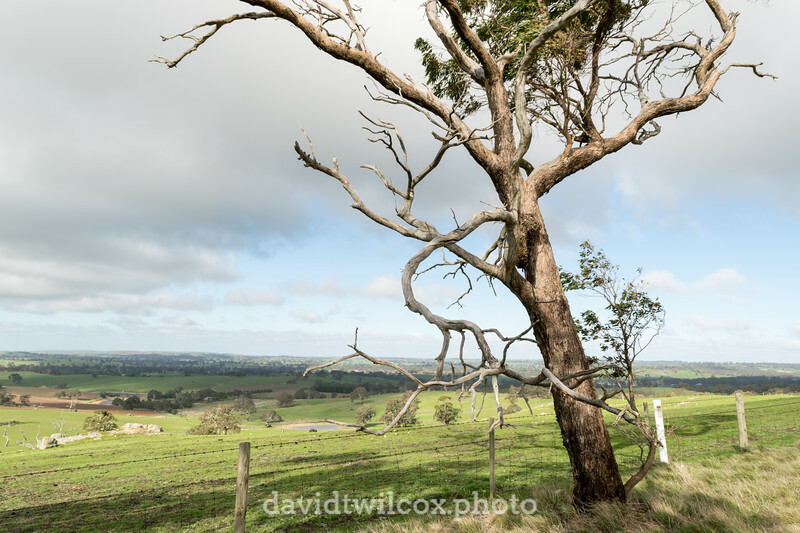 One of the more experienced Aussie riders insisted on taking me up to this abandoned house to point out some details. The stone steps were imported and had bullnose detailing not found on others. There were some other architectural details not found on other houses in the area, all of which showed that the family that built, and then left, this house had money. 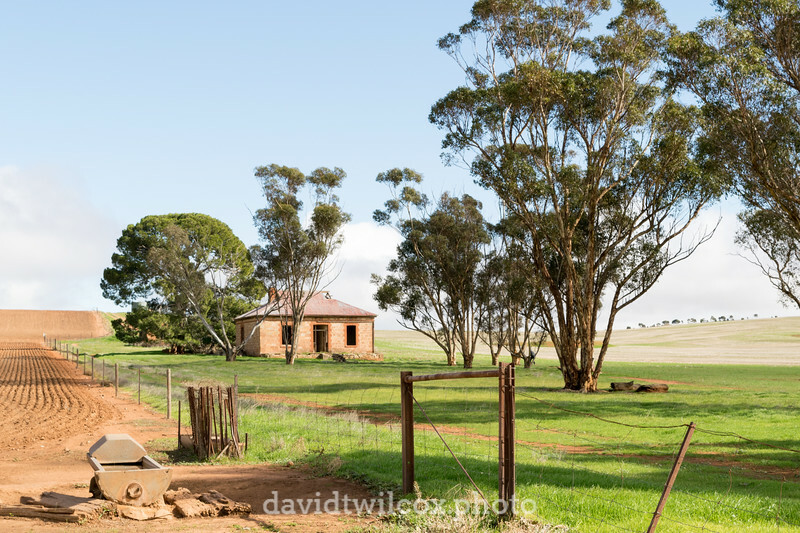 The Outback Odyssey follows the Mawson Trail, which is named after Sir Douglas Mawson, and connects to points associated with him as well as another famous Australian explorer, Hubert Wilkins. 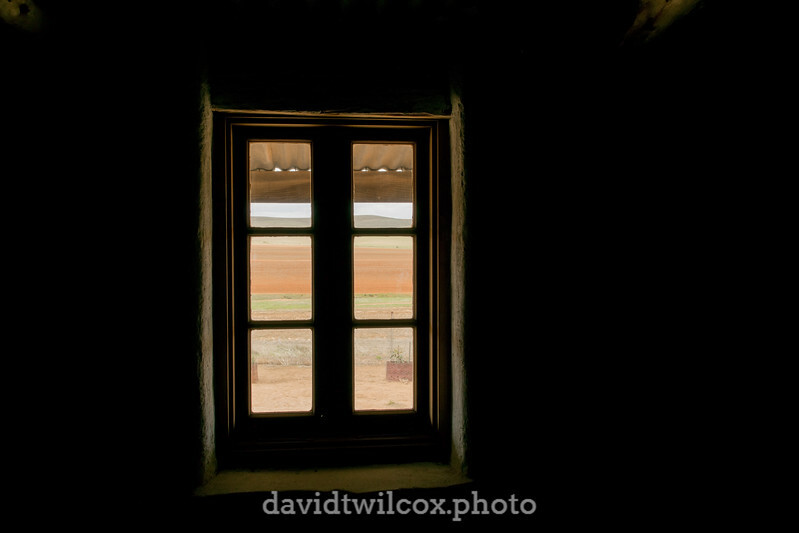 This is the view out the window of Wilkin's bedroom in his childhood home near Mt. Bryan. After ending up 20 kilometers off route, round trip, and behind the support team, I made the best of it by enjoying the loneliness. The driest state in the driest country on Earth was experiencing record rain, making it greener than most locals had ever seen.